Train smarter and harder with this multi-function sports tracking device. 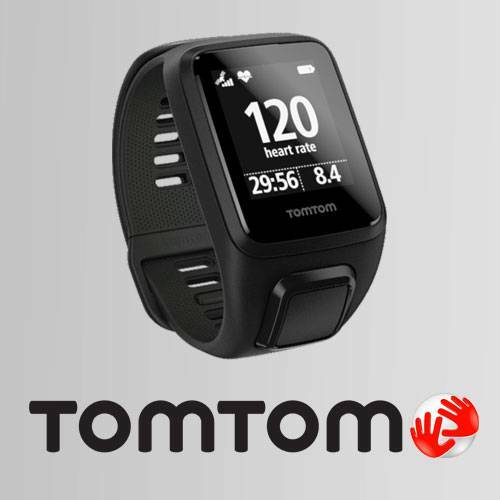 24/7, the TomTom Spark 3 measures your heart rate, steps, active minutes and calories burned. Even when you stop to rest, the TomTom Spark is still going! This stylish device features the very latest in fitness technology, including GPS, Multisport and Route Exploration modes, and enough memory to bring all the music you’ll need for your run or workout. - Large 142 – 206mm. Find out more about the features and specs of the TomTom Spark 3 here. Click 'Redeem' and your TomTom Spark 3 will be requested. You’ll need to contact us to specify your size preference. Your TomTom Spark 3 will then be delivered by post to the address you have registered with Dulux Trade Points. Please allow 10 working days for delivery. 2. Size must be specified at time of redemption using the ‘Contact Us’ form on Dulux Trade Points website or by calling the Dulux Trade Points Helpdesk on (01) 893 4992. 3. The TomTom Spark 3 will be sent via post to the address registered with Dulux Trade Points. Deliveries will be made using An Post/Royal Mail services. All orders will be sent by registered post and will require a signature on arrival. 4. Your TomTom Spark 3 will normally be received within 10 working days. Where possible we will try to meet all delivery requirements but neither Dulux nor TLC Marketing shall be liable for any loss incurred either directly or indirectly by failure to meet the delivery date and time indicated at the time of order being placed. ‘Loss’ in this instance includes loss of profit, costs, damages, charges or other expenses. 5. Risk will pass to the customer upon delivery. Neither Dulux nor TLC Marketing can be held responsible for lost, stolen or damaged products following delivery to the recipient. The TomTom Spark 3 will NOT be replaced or refunded if lost, stolen or damaged.